Make your own way to the Novella Theatre, in the heart of London’s dazzling theatrical district, and collect your tickets from the box office. At booking, select from standard-priced seats located in the stalls, or indulge in top-priced seats that afford unrivalled views of the action. Upgrade to enjoy classic British cuisine before the show at an elegant eatery nearby to the theatre. Feel your excitement heighten as you take your seat and an atmospheric silence descends upon the audience. 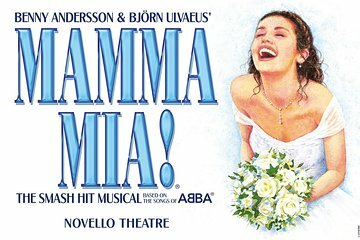 Lose yourself in the music and the melodies of ABBA’s best loved classics as the drama of the story unfolds and you are swept into a whirlwind of romance and turbulence. Leave the theatre with magical memories after the show concludes. It was great the songs the energy was fabulous, I loved it. FABULOUS show. Great seats second row centre, AWESOME. FABULOUS theatre show. Great seats second row, AWESOME. Considering not knowing any of the principal actorsnut knowing the music it was absolutely fantastic!!!!!!!!!!!! Wonderful experience! I strongly recommend it! It was a highlight of our stay in London! I have used Viator many times in many countries and LOVED it every time - until now. I had two theatre bookings and both were appalling seats that i cannot believe were 'top price' seating as i paid for. For this show i was so far back on the balcony level that the front of the higher balcony blocked the back of the stage. For the other i was back row two seats from the corner - dreadful view. I won't buy theatre tickets with Viator again but will continue to use their other tours which have always been excellent. This show is absolutely fantastic. Even youngsters who never heard of Abba and their songs were under the charm. Happy night! Love the musical. Had great seats...second row! The cast was great and the audience obviously loved it!